Ever wonder what the secret is to making phenomenal bread? It's in the wheat kernels. We know where every kernel comes from. 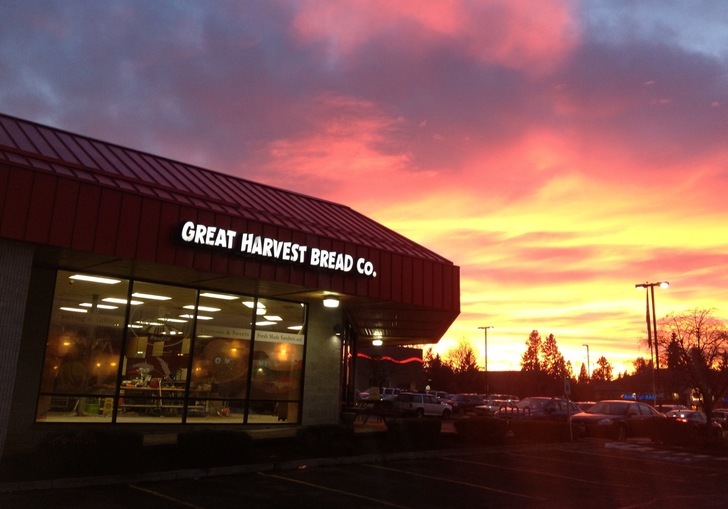 That's because we have been purchasing our premium whole wheat from family-owned farms for more than 30 years. Hello, we are the owners Tori and Trevor Plaisted, born and raised in Eastern Washington. We have four beautiful children between the ages of 16 and 8 (Mayson, Chiara, Klaire, and Alanna)...together we enjoy a variety of activities between sporting events, outdoor fun, and community service. Trevor attended the University of Washington and obtained a degree in Chemical Engineering, then completed his Master in Business Administration from Brigham Young University. He was employed in the Semiconductor Industry (building computer chips) for many years before the lure of small business ownership and the opportunity to return home was too much to resist. Tori obtained her Associates in Elementary Education from Ricks College in Rexburg ID, studied cosmetology at Bon Losse Academy in Provo UT, and has been our Domestic Engineer for many years before joining Trevor on this great adventure. We are located in a vibrant community with great diversity and an appreciation for healthy wholesome foods. This particular Great Harvest has been serving the community for nearly 35 years and is excited to continue this great legacy.